Math and Science are not really my girl's thing. My son is taking higher mathematics a the University of Florida, but I really don't think my girls will be taking those classes. 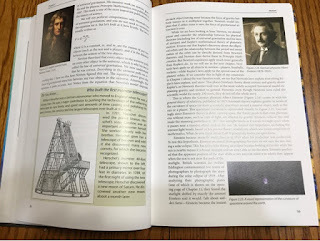 We were offered to review a couple of different science books from Novare Science & Math and I decided we wanted to try the Introductory Physics that came with a digital download of the Resource CD. I was very intrigued by Introductory Physics for a couple of reasons. When I was in school and what I have always heard was that students should study biology, chemistry, and then physics. It isn't the case with this course. It is an introduction to physics and Novare offers Physics Modeling Nature for a higher grade level physics course. 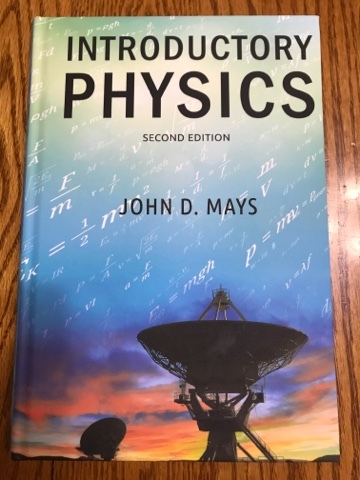 Introductory Physics can be completed right along with Algebra I if your student is taking it as a freshman or it can be taken as a sophomore or junior. Novare science books teach in a different way than most textbooks. Their philosophy uses three principals Mastery of the material, Integration of science and math, and Kingdom Perspective because they teach from a Christian perspective. I like how they describe most school courses as the Cram-Pass-Forget Cycle. Where students learn something long enough to pass the test and then they forget it. I was really surprised when I received my book in the mail. It is smaller than most science textbooks. It is a hardback book with 376 pages, but it is only 7" X 10". 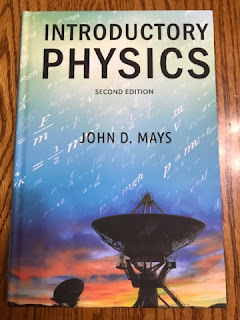 John D Mays the author of Introductory Physics wants the students to master and remember the information and by eliminating some things students can then master the basics they need. 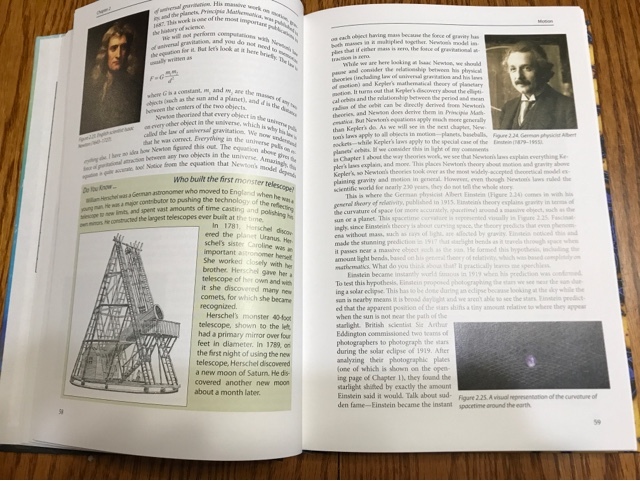 Introductory Physics is divided into thirteen chapters and teaches motion, momentum, atoms, pressure and buoyancy, intro to electricity, DC circuits, and more. Each chapter starts with the objectives and ends with chapter exercises. The Do You Know sections in each chapter include fun things that go along with the topic. There is also a lot of colored photos, drawings, and charts. The answers to the exercise questions are immediately following the questions. There is also a Solutions Manual that can be purchased that solves the calculations step by step. We received the textbook which can be used alone, but we also received a download copy of the Resource CD. It contains the course overview and schedule, weekly review guides, quizzes and semester exams including their answer keys as well as some sample answers for the verbal questions. I wanted this course for Amber. She loves to talk details and technical stuff about planes, rockets, and bombs with her brother, who used to be an Army EOD and is currently working on becoming an aerospace engineer. The problem with her is she doesn't like math, let me rephrase that she doesn't like math textbooks. She does like story problems and math problems that she can visually see what it is representing. I thought she would like to study physics, but I wasn't sure if she would ever get to it so studying an intro to physics seemed the best solution. So far she has been doing very well with it, she really likes the photos, diagrams, and especially the Do You Know... boxes. Printing out the Course Lesson Schedule and the Weekly Review Guides from the Resource CD has been a huge help for her partly because it is summer time and it has helped her stay focused on what she needs to do. The Course Lesson Schedule not only lists what should be done for each lesson, there are also little notes to help you remember you have an upcoming report or when you need to answer the study questions. I had never heard of Novare Science & Math before but I found out that Memoria Press uses some their courses. The Homeschool Review Crew received several titles from Novare Science & Math including Earth Science: God's World, Our Home, General Chemistry, and Science for Every Teacher. I plan on reading those reviews to see if I want to use any of those with my other girls for this upcoming school year.